From chipped teeth to throbbing toothaches, broken brace brackets to cracked crowns, dental emergencies can happen at any time. At Vision Dental, we’re committed to providing patients with prompt care and quick pain relief. Now that’s something to smile about. To accommodate dental emergencies, we keep slots open each day so we can see you and get you out of trouble promptly. We also feature an online booking system on our website so you can make an appointment without having to phone the practice. You can contact us after hours and leave a voice message. These calls are dealt with as a priority as soon as the practice opens, and you will be contacted immediately to book an emergency appointment. Getting you out of pain is our top priority. 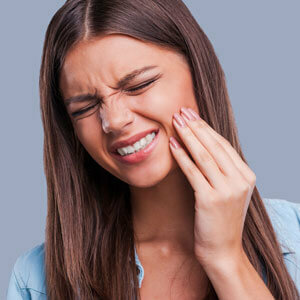 Dr Stephen Suster (Dentist) will provide an assessment of your teeth to determine what’s causing your pain. The most suitable method of treatment will then be given. We’ll let you know what your expected costs for the treatment will be. We accept insurance and offer payment plans for your convenience. If you think you have a dental emergency, don’t put off seeking care. Our friendly and caring dental professionals will do everything possible to get you out of pain and on with your day. Contact us today!